Individuals with Medicare have been provided with new Medicare cards without Social Security numbers as part of the Centers for Medicare & Medicaid Services (CMS) efforts to combat fraud and abuse and protect against identity theft. 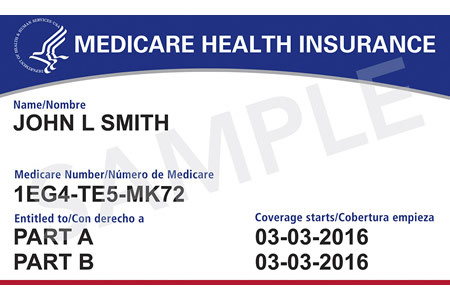 Instead of Social Security numbers, the new Medicare cards use unique, randomly generated Medicare Beneficiary Identifiers that include a combination of numbers and letters. CMS has issued more than 61 million new cards over the course of the past 9 months and has now completed the rollout three months ahead of the April 2019 deadline set by Congress in the Medicare Access and CHIP Reauthorization Act (MACRA) of 2015. More than half of all healthcare claims processed by the CMS now use the new Medicare Beneficiary Identifiers. As of January 11, 2019, 58% of all Medicare fee-for-service claims submitted by healthcare providers have used the new identifiers. People with Medicare should destroy their old cards when they receive their new card, although other plan cards such as Medicare Advantage Plan and Medicare Drug Plan cards should be retained. While the new Medicare cards provide protection against identity theft, people with Medicare have been advised to still be vigilant for scams. The CMS suggests treating the new Medicare cards just like credit cards, and to only give cards/identifiers to trusted entities such as pharmacies, healthcare providers, and insurers.